★★★★★ Fantastic scissors! They are very charp. Cuts hair so easy with minimal effort. I just tried them and did the hair cut for my kids. And the price is very reasonable too. ★★★★★ It is a great price for what you need it for! This great for me to give haircuts at home for my husband and 2 kids. 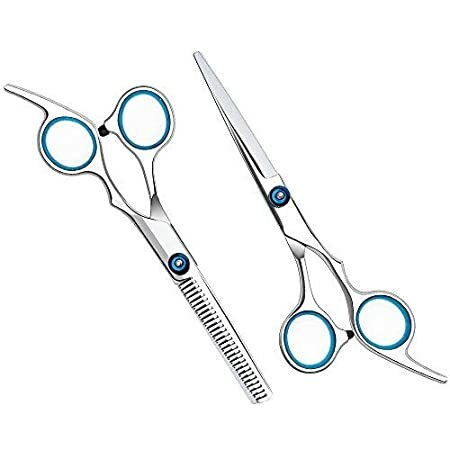 The scissors were awesome, sharp and easy to snip hair. ★★★★★ I used them to do my sons’ haircut. They are evey sharp and easy to use.